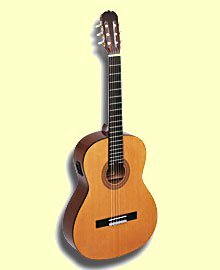 Best Classical Guitars: Share Your Favorite Guitar With the World! 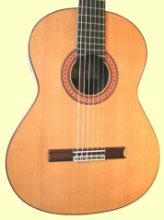 Which are the best classical guitars of all? 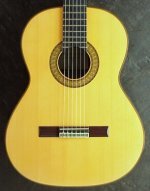 You can show off your opinions about your favourite classical guitar on your very own page here at Classical-Guitar-World.com. You can also upload guitar pictures of your favorite guitar and share a story about it with others that can appreciate a fine classical instrument. Another way to use this page is to submit classical guitar reviews. Have you been out shopping for guitars? Why not jot down your impressions of each one, then come back here and write a review for each guitar you tried? Take a look at pages submitted by other site visitors. Then send us your own page. It's a great way to help shape this site and to interact with other like-minded site visitors. Other site visitors will be able to add their comments, and you'll be able to respond. Your page will have its own unique URL that you can share with your friends and family. Write about the guitar makers you admire, classical guitars you've owned, instruments you aspire to owning, or anything else to do with your favourite classical guitars and brands. 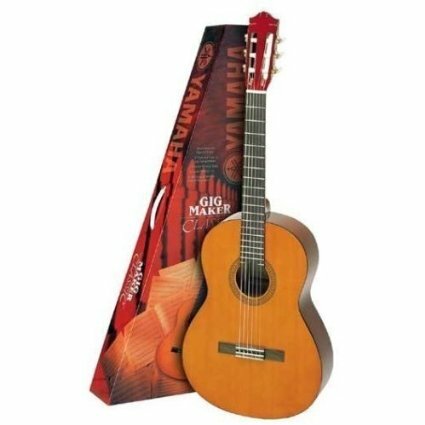 Classical Guitar Manufacturers play an important part in our guitar playing lives. The best produce an instrument that seems to have a soul of its own. And we all have our own ideas of what makes the perfect instrument. Here are a few ideas. But feel free to express your own thoughts. * What is it that you prefer about one classical guitar over another? * Tell us about your first guitar? * Which classical guitar would you like to own if money was no object? Classical Guitar With Over 85 Decibels! My name is Pedro and this guitar is made for mi. I make guitars. Thanks. i like fabricate this type of guitars. Dear Mr Bill I know a lot about different guitars. Sanchez, Alhamra, Hafner, Ibanez, Counca, Pavan, Hirad. All of them are really good. Compared to my Yamaha CG130A it is sharply and brightly sounding passionate piece of wood.